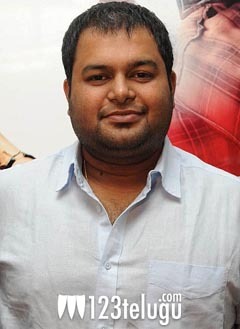 Thaman may have not been in news for quite sometime this year, but he’s working quite hard on all his upcoming films. Currently, he’s working on big budget films like Baadshah, Naayak, Shadow, Balupu and recently he revealed that he has signed two more films with directors whom he had previously worked with. After Dookudu, he’s once again teaming up with Sreenu Vaitla for NTR, Kajal starrer Baadshah. Since it’s one of the most awaited films of 2013, Thaman has already begun putting special efforts to compose the music. “Baadshah te@m goin to Bangkok I am recording there for theme song with the Bangkok philharmonic orchestra excited :),” he recently revealed on Twitter. The songs in the film are expected to be on a grand scale and even Sreenu Vaitla is determined to give a solid blockbuster once again. The film unit flew to Bangkok for a long schedule. Ganesh Babu is producing the film. Kona Venkat and Gopi Mohan have written the script. The film was recently shot in Italy and already a song and some talkie part has been wrapped up. The film is expected to hit the screens for Sankranthi, 2013.